The National Library of Scotland announced in June that Dr John Scally had been appointed as its new Chief Executive and National Librarian. He took over from Martyn Wade, who retired at the end of March. John took up his new post in September. Since 2012, John had been Director of Library and University Collections at the University of Edinburgh, where he had been Director of University Collections and Deputy Director of Library, Museums and Galleries for the previous ten years. At the British Library (BL), Jamie Andrews has been appointed to the new post of Head of Cultural Engagement in Collections. Taking up his role at the start of October, Jamie is working with BL colleagues across Collections and all other divisions to develop a wide range of innovative and creative opportunities for people to explore and understand the cultural richness of the Library's Collections. 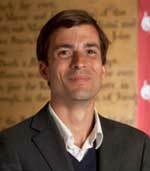 Jamie has previously been Head of English and Drama and Head of Modern Manuscripts at the BL, and was a Fellow on the Clore Leadership Programme in 2012/13. Danny Kingsley will be taking up the new role of Head of Scholarly Communications at Cambridge University. Danny, who is featured in this issue's Profile, is a Visiting Fellow of the Australian National Centre for the Public Awareness of Science at the Australian National University. Her research centres on scholarly communication with a specific interest in open access, research assessment, peer review, authorship and higher education. 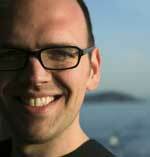 Danny currently works as the Executive Officer of the Australian Open Access Support Group. Prior to this, Danny was the Manager, Scholarly Communication and ePublishing at the Australian National University for four years. She was responsible for developing policies relating to scholarly communication and open access, and rebuilt the DSpace repository prior to its July 2011 relaunch. At Carlow Institute of Technology, Mary Delaney is now Librarian, having previously worked at Maynooth University. Richard Lennon retired at the end of July after 15 years as librarian at Carlow. Andrew Preater joined Imperial College London in April as Team Leader, Systems and Innovation Support Services. He has previously worked at a number of universities including the University of London and Durham University, and in further education. Andrew leads the team responsible for managing and developing specialist information systems that underpin the core business activities of the Library and ensure Imperial's researchers and learners can easily discover and access the information resources they need. He works in partnership with College ICT and Research Office colleagues to support open access publishing and scholarly communication systems, including Imperial's Symplectic Elements research information system and DSpace digital repository. Andrew's research interests are in discovery systems and user experience, particularly the influence of web search on library users’ approaches to and understanding of information seeking. 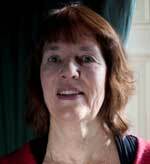 Liz Chapman is retiring from her post of Director of Library Services at the London School of Economics and Political Science (LSE) on 18 January 2015. This will be her fifth anniversary at LSE and her 41st as a librarian, having worked at Brunel University, Oxford University (including a year as a Junior Proctor – a senior official of the University), University College London and the LSE. 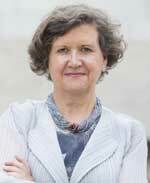 For the last two years or so, she has led the project to transfer the Women's Library Collection from London Metropolitan University to the LSE, where it now boasts a beautiful new Reading Room opened by Mary Robinson in March this year. A new Training and Outreach Room has just been completed and a public exhibition space is under construction due to open, Liz hopes, before she retires. Liz has contributed extensively to the knowledge community, as an author, a founder member of the Fiesole retreat which brings together publishers, suppliers and librarians to discuss common interests, serving on the Council of CILIP, the board of the Society of College, National and University Libraries (SCONUL), the editorial board of the Journal of Librarianship and Information Science (JOLIS) and the Conseil Scientifique of La Bibliothèque de Documentation International Contemporaine (BDIC), a specialist archive in Paris. Some in the community will recall the key role Liz played in the National Acquisitions Group (NAG), and her unforgettable ‘appearances’ with Clare Jenkins, disguised in a pantomime horse costume (called Dobbin) at two NAG conferences. To improve their technique, Liz and Clare actually went to watch a horse and study how it moved around a field. 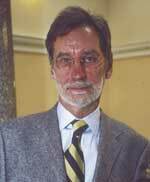 Emeritus Professor Colin Harris, formerly University Librarian, Manchester Metropolitan University (MMU), died on 15 July. Former MMU University Librarians have written that from 1973, Colin spent five years at Newcastle-upon-Tyne Polytechnic, first as Research Assistant on a British Library project under the late Keith Harris and subsequently as Senior Lecturer in the School of Librarianship. In 1979, he became Director of the Centre for User Studies, School of Librarianship, University of Sheffield. 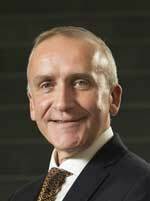 In 1985, Colin was appointed University Librarian at the University of Salford and promoted to Director of Academic Information Services when services were combined in 1988. He was appointed University Librarian at MMU in 1993 where he was immediately awarded a personal chair. He oversaw major building and refurbishment projects, including expanding the main library, which design incorporated a Special Collections area with conservation workshop, subsequently extended to include an object store and Gallery when the Manchester School of Art Collection was brought to the library. Colin retired from MMU in June 2007. He was widely known and highly respected in the information services community and played an incisive leadership role in many Jisc networks and programmes including eLib, RSLP and RDN, as well as more locally in the North West via NoWAL. The Open University awarded Shane Godbolt the honorary degree of Master of the University. Appointed Deputy Librarian at Charing Cross Hospital in 1970, Shane's career in medical information and librarianship spans more than 40 years. 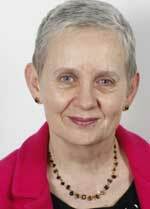 She was founder-editor of Health Libraries Review, now Health Information & Libraries Journal. At the award ceremony in September, the crucial role played by medical librarians in ensuring colleagues across all medical disciplines know about and build upon advances in their fields was recognized, and Shane was described as one of the most important medical librarians working in the UK for several decades. She is also deeply committed to the developing world. Conscious that many doctors in Africa had no access to medical and healthcare research in treating everything from malaria to diarrhoea and AIDS, Shane and her colleagues built links between libraries and librarians in Africa and the UK and sent key articles and journals to colleagues in Africa via the High Commission. In the early 1990s, Shane became a trustee, then Director, of Partnerships in health information (Phi), working in Sierra Leone, Kenya, Ethiopia and Nigeria. Phi works closely with the global advocacy campaign Healthcare Information for All (HIFA) 2015, which focuses on the information needs of healthcare providers; Phi supports its goals by promoting African leadership in health information, evidence-based practice and public access to health information. HIFA's campaign and Phi's work have been invaluable in building a better understanding of global health information issues, relieving untold suffering and saving countless lives. Shane has been Director of Phi since 2006 and is intending to stand down from the role at some point during the next year, though hopes to remain involved in some capacity. After 27 years, Sheelagh McCormack retired from her position as library assistant at the Royal College of Surgeons in Ireland (RCSI) in September. During her time at RCSI, Sheelagh worked in many different roles, but was responsible for serials processing and inter- library loans at the time of her retirement. 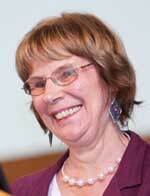 Sheelagh was a valued colleague and will be sorely missed by all her library friends. Helen Shenton joined Trinity College Dublin as Librarian and College Archivist in June this year. Helen has a strong track record of leadership and management in world-class organizations – most recently as Executive Director of Harvard Library in the US where she co-led the transition to a new governance, funding and organizational model. At the British Library, she led the care of the UK's national documentary heritage collection and national printed archive, both physical and digital. At the UK's Victoria and Albert Museum, she had responsibility for the care of one of world's finest decorative arts collections. Following further restructuring at the University of West London, Louise Penn has now moved into the role of Head of Resources and Technology, leading a team which includes acquisitions, subscriptions, document delivery, e-resource management, institutional repository, metadata, digitization and systems administration. In this role, Louise also acts as co-deputy for the Director of Library Services alongside other members of the Library Services Management Team. She remains an active member of the Jisc EIRWG advisory group on behalf of smaller, teaching-intensive universities and retains her co-editorship of The Serials Librarian at Taylor & Francis. As reported in UKSG eNews, Cambridge University Press appointed Mandy Hill as the new Managing Director of Academic Publishing. Taking up the new post in September, Mandy has over 20 years’ experience in academic publishing and had worked at Oxford University Press since 1998. 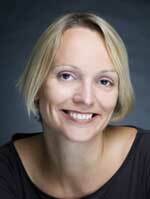 Prior to that, she worked at Elsevier and a medical communications agency. Mandy sits on the ALPSP Council, the Publishing Board of the Royal Society and is a Foreign Consultant for China Book International. 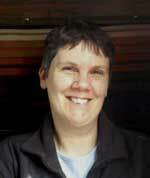 At the end of June, Anne Campbell, joined EBSCO Information Services as Library Automation Manager. Anne works with the integrated library system vendors used by EBSCO customers. A member of the NISO Business Topics Committee and the ICEDIS Working Group, she also provides insight and knowledge to EBSCO's customer service and IT teams. She reports to Ian Best, EBSCO Subscription Services Division's newly named Vice President of Subscription Workflow Solutions. Anne was previously E-Processing Manager at Swets. 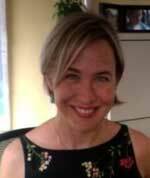 In September, Kate Lawrence was named Vice President, User Research at EBSCO Information Services. Kate has been a user experience practitioner for more than 20 years. Since 2011, she and her team at EBSCO have watched users interact with EBSCO products, mobile devices, websites and interface designs, looking for insights to feed into improvements to products, services and processes. Kate is also is a member of the User Experience Professionals Association (UXPA). At Innovative, Grant McDougall was named Director of Operations for Europe, the Middle East and Africa at the end of June. Innovative recently acquired VTLS, and Grant will play a key role in integrating VTLS staff and customers into the Innovative community, as well as focusing on serving and supporting all Innovative customers and partners in EMEA. He has 20 years’ experience in library technology, and has completed a number of major library technology projects, including the implementation of library systems for the University of the Highlands and Islands and the People's Network in Aberdeen. He was previously Faculty Librarian for Science and Technology at Robert Gordon University in Aberdeen. 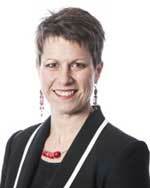 Ann Lawson is currently working with Kudos on a consultancy basis. With 15 years’ experience in publishing, academia and information services, Ann has managed strategic relationships across a wide portfolio of products and services, most recently helping to define a new service for the transactional processing of open access articles. Prior to Kudos, Ann spent eight years at EBSCO Information Services, where she served most recently as senior director. Prior to EBSCO, she was head of UK rights in the academic books division at Oxford University Press and earlier in her career served as data licensing manager at HarperCollins. At the beginning of October, Erika Valenti joined the sales, marketing and research consultancy Publishers Communication Group (PCG) as its new Global Sales Director. Based in the Boston office, Erika will lead the PCG's Content Sales team of dedicated publisher representatives in the US and regional sales offices in the UK, Brazil and India. She will draw on her decade of experience managing international sales to strengthen prospecting activities, library negotiations and consortia relationships, while identifying new growth opportunities for clients around the world. Erika joins PCG from The MIT Press, where she has spent ten years in sales and marketing roles with an international focus, developing market entry strategies for the BRIC nations, Australia and Southeast Asia. At ProQuest, Ben Lewis is the new Senior Vice-President, Strategy and Business Development at ProQuest, leading ProQuest's global strategy function and assisting on both internal and external business development activities. Ben joined ProQuest from Moody's, where he was Vice President and Head of Strategy. Prior to Moody's, he served at Thomson Reuters and Accenture. Ben is based in ProQuest's New York City office. Also at ProQuest, Roger Retke has been appointed to the newly created position of Vice President, Strategic Projects, where he leads the overall strategy and operational implementation of ProQuest discovery and library management technology solutions. Roger joins the Workflow Solutions leadership team. Most recently, he was Vice President, Software Engineering and Quality at Systech International. He is based in ProQuest's Seattle office. Susie Winter is Director of Policy and Communications at the Publishers Association (PA), working across the academic, trade and education publishing divisions, developing the PA's engagement with policy issues across the UK and in Europe. Susie previously worked for the Alliance for Intellectual Property, and Luther Pendragon. As reported in UKSG eNews, Sue Hill of Sue Hill Recruitment (SHT) has now (almost) retired, telling us that, “Having recently reached that famous Beatles age (no - not 17), I'm taking the opportunity to slip off into the happy land of retirement.” Sue's career in information-related work has been fast, furious and fun. 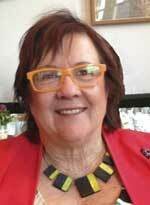 Starting at American Information Retrieval Service in 1978, Sue developed Task Force Pro Libra (now TFPL Ltd) for Alan Armstrong & Associates from 1986, set up Instant Library Recruitment in 1993 and then the eponymous Sue Hill Recruitment in 1998. Her aim was consistent: “to offer the best service possible to clients and candidates; to grow and encourage team members, create a happy and successful work environment and also, of course, to make a profit but not at the expense of any of the preceding points. I am very proud to have achieved this and to have built dedicated and professional teams who are carrying on in the same vein.” Surviving the most recent recession and a tangle with bowel cancer, Sue will bow out before the end of the year. TFPL, also bought by Progility plc in 2013, the new owners of Sue Hill Recruitment, have moved into 80 Borough High St in London. Chris Jones is now the MD of the Progility Recruitment group that includes SHR and TFPL. On a personal note about dear Swets – the Swets UK office went into administration on 10 October, with 120 staff made redundant with immediate effect. The swift demise of Swets over the past months has been so sad to observe and experience. Such an excellent company over so many years – set up in 1901 by Adriaan Swets who had learnt the book trade in Oxford under the Gaffer, Sir Basil Blackwell himself. Over the decades, Swets grew to be a major international subscription agent with local offices in 27 countries. A great place to work – a community with a real sense of professionalism and commitment to and reputation for the best in customer service. Hopefully, such staff will be sought after and will quickly find new work in the wider information community, with publishers and with other subscription agents. Talking of which, UKSG lis-e-resources has just reported the first such appointments in EBSCO's plans to set up in the Abingdon area a second UK office with longstanding Swets customer service staff including Karena Richens, Emma Simlett, Angela Watson and Jenny Veal – not to mention your People Page Editor, John Jardine, who will assist in customer transfers over the coming months.